The All-New Honda Civic takes the 2016 North American International Auto Show Car of the Year Award! It felt appropriate that for the inaugural post in what will hopefully be a long line of articles that we focus on the All-New 2016 Honda Civic. It just recently won the North American Auto Show Best Car of the Year award along with the AJAC award previously. The term 'All-New' can be tossed around a little loosely in the automotive industry but this was a true clean sheet design. 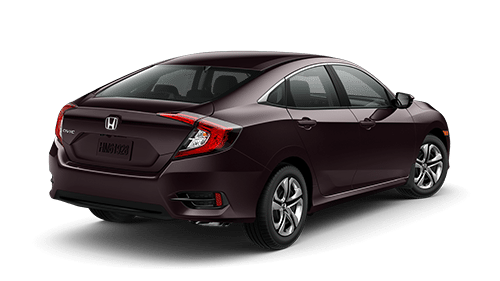 Instead of taking the design from the old Civic and adding some new minor details Honda took the approach to take what made a Civic great over the years and designed it from the ground up to exceed those older models. One of the major design points was to bring the sportiness back into the design that was getting diluted over the iterations of the Civic. The design is low slung and more aggressive with the wheels pushed more towards the corners. It's 1.2 inches wider and 2 inches wider than the outgoing model. This also adds to more space in the interior. The rear has the appearance of a Fastback yet has a conventional trunk. The front fascia has a more aggressive look to it as well. Now consider we have not even seen the new version of the Civic Si or the Type R (yes it is coming back to North America!). Collision Mitigation Braking System (CMBS): To help the likelihood or severity of a frontal impact, the available CMBS is engineered to apply the brakes if you don't slow down when it senses you're at risk of a collision. If it still senses an imminent collision, CMBS is designed to brake firmly. Adaptive Cruise Control (ACC): The available Adaptive Cruise Control is designed to keep a set speed and set a following interval behind a vehicle detected ahead of you, including the ability to start and stop the vehicle with the flow of traffic. Lane Keeping Assist System (LKAS): Engineered to greatly correct your steering when you begin to leave a detected lane without signalling, applying torque progressively to the steering to help guide you back to the centre of the lane. Road Departure Mitigation (RDM): Designed to help steer and evenly apply the brakes when necessary to help keep the vehicle from leaving the road. Lane Departure Warning (LWD): Designed to monitor vehicle lane position and alert you when your vehicle drifts into a new lane when you haven't signalled. Forward Collision Warning (FCW): Integrated with the Collision Mitigation Braking system, it is designed to detect the presence of vehicles in front of you and issue alerts if you're approaching with too much speed. If you fail to respond to the alerts, the CMBS is triggered into operation. The 2016 NAIAS Car of the Year. The AJAC Car of the Year. Canada's best-selling car 18 years in a row.